Houghton Mifflin Harcourt, 9781328876652, 352pp. SHE KNEW IT WAS A WEIRD PLACE. She’d heard the stories, seen the movies, read the books. But now police Chief Inspector Sigrid Ødegård has to leave her native Norway and actually go there; to that land across the Atlantic where her missing brother is implicated in the mysterious death of a prominent African-American academic. AMERICA. Sigrid is plunged into a United States where race and identity, politics and promise, reverberate in every aspect of daily life. Working with—or, if necessary, against—the police, she must negotiate the local political minefields and navigate the backwoods of the Adirondacks to uncover the truth before events escalate further. Refreshingly funny, slyly perceptive, American by Day secures Derek B. Miller's place as one of our most imaginative and entertaining novelists. "[An] outstanding crime novel...Leavened throughout with Miller’s wry reflections on Norway’s 'chronic sense of discontentment,' this incandescent exposé of European and American mores profoundly entertains and provokes disturbing questions about personal and societal values." "If Tocqueville had written a police thriller, it might look something like this engrossing and wryly humorous but also deeply serious work. [American by Day is] for fans of Miller and his previous works (e.g., The Girl in Green), which were deservedly acclaimed." "What lifts this well above average are the characters, notably Sigrid and Irv, and their relationship and discussions, ranging from the investigative process to the characteristics of their respective countries, as they determine to what extent they can work together to achieve their desired goals. Miller offers a slightly different spin on Scandinavia-set crime fiction, wrapping a thriller plot around the character-driven substance of literary fiction to produce a hybrid that is compelling from any angle." "Like his acclaimed debut, Norwegian by Night (2013), Miller's highly enjoyable new book is a solid mystery wrapped up in musings about individuality and freedom, grief and sadness." "A superb novel on all levels...Miller is a classy satirist of American mores." "Derek B. Miller writes the kind of crime fiction the world needs right now. Principled, but not afraid to get down and dirty—and shot through with some of the sharpest humour you're likely to find." "Not to be missed...A subtle crime story peopled with beautifully drawn characters." "A witty and intelligent fish-out-of-water tale." 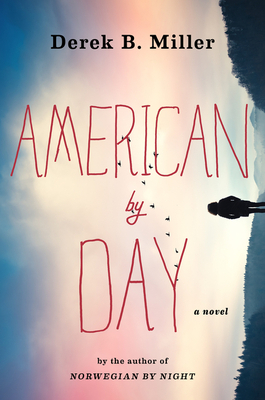 "American By Day is a terrific book—a high-class thriller with a neat Norwegian twist. You won't forget Sigrid, an Oslo detective on a mission in upstate New York; her outsider's take on American society gives this page-turner a unique and compelling sensibility." "What astonishes and impresses me about Miller's books—and American by Day is no exception—is how witty and entertaining they are in moments, and yet deeply resonant and meaningful as well. Whether tackling issues of war or race, Derek Miller goes to the heart of matters affecting how we as a civilization live."